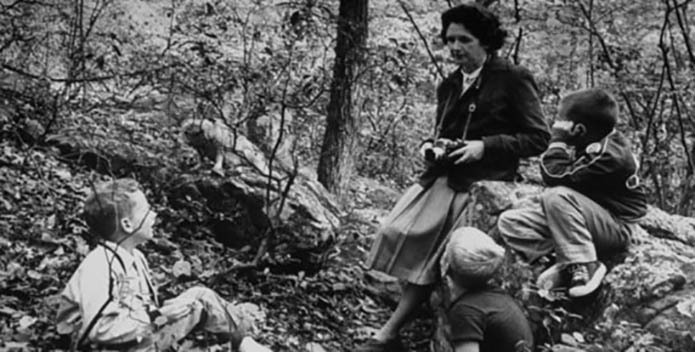 Marine biologist, writer, and conservationist Rachel Carson in the woods surrounded by the next generation of nature stewards. Image courtesy of: Wiki Commons. In honor of Women's History Month, we are looking back at some of the natural world's greatest heroines. And perhaps there's no one more deserving of that descriptor than Rachel Carson. Back in 1962—before there was an Earth Day, or EPA, or even a Chesapeake Bay Foundation—marine biologist, writer, and conservationist Rachel Carson wrote Silent Spring. The book that started it all, Spring is credited for launching the environmental movement. In it, Carson investigates the damage that the fast-growing use of DDT to control insects had inflicted on birds and other wildlife, and eventually humans. Despite the initial uproar after the book's release (“What she wrote started a national quarrel," said CBS Reports in a one-hour special shortly after the book was published), Carson ultimately changed the way people look at the natural world. "Her message that humans cannot totally control nature, or eradicate species we don't like—at least not without harmful side effects—came through clearly. She advocated integrated management: using a minimum of chemicals combined with biological and cultural controls," says PBS' website. William Shawn, managing editor of The New Yorker (where the book was printed in three parts in June of 1962), called Silent Spring in a letter to Carson: "a brilliant achievement . . . You have made it literature, full of beauty and loveliness and depth of feeling." The year after Silent Spring came out, President Kennedy directed his Science Advisory Committee to investigate Carson's claims. Its investigation vindicated Carson's work and led to an immediate strengthening of chemical pesticide regulations. Seven years later, President Nixon established the Environmental Protection Agency with one of its first tasks being to ban the use of DDT and other harmful pesticides. Carson's foresight and courage to speak out about human activities that destroy our natural world and the necessity that we all need to be good stewards of the Earth, led to tremendous strides in the environmental community. 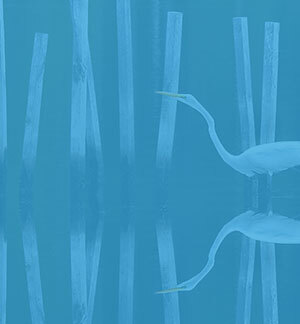 Here at the Chesapeake Bay Foundation, we are now facing an historic, unprecedented opportunity to really truly save the Bay through the Chesapeake Clean Water Blueprint. Perhaps we would never have come so far were it not for the heroic efforts of individuals like Carson.